Early childhood education and care is an industry governed by regulation. These regulations are vital to ensure the safety of the children entrusted into our care. With regulations come paperwork and documentation used to evaluate each early childhood setting in line with the National Quality Standards. Along with new quality measures have been emerging digital documentation tools. So why use Kinderloop? record the follow-ups required of staff after the recent staff meeting. All of this vital recording is possible with one app, saving time on each task! Each centre is different, with diverse needs so it is important to have flexibility within your recording system. The options are limited only by the creativity of the educational team; unique tags can be created to ensure efficient searching, groups can be used to allow educators to track focus groups, and posts may be made accessible to parents or posted privately for educator assessment and analysis. For more customisation features check out the amazing videos by Michelle (http://kinderloop.com/help.html). When it comes to the assessment and rating visit, just create a special account for the A&C Officer and they can access your Kinderloop and review all of the wonderful evidence you have gathered! Always have trouble catching little Jess’s parents at the end of a busy day? Parents are now able to their children’s daily achievements in real time and comment immediately from their mobile device. Kinderloop gives families a real sense of belonging to their children’s day and enhances the community spirit surrounding the centre. New features are added regularly that help further support family engagement! 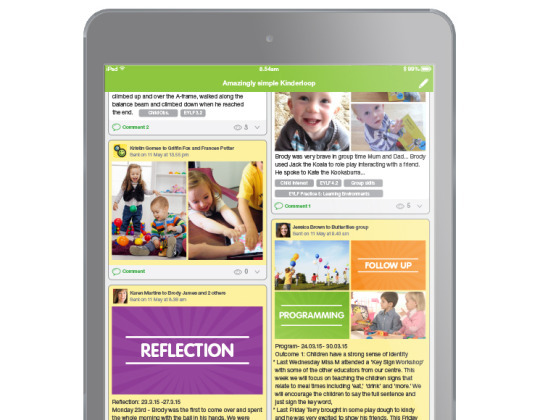 Families can now create posts and share events from the child’s time at home with the educators at the centre, completing the sharing loop and further strengthening bonds between educators and family. Early childhood educators are busy. Kinderloop has created an online community to provide support to these educators across various sites across the world. Within this support community exist some truly amazing ideas! One fantastic examine is: Want a better way to record your daily yard check? Just laminate your daily yard check record, use a whiteboard marker to sign your record then take a picture and post it to your Kinderloop as a private post with a custom tag! No more folder full of paper and easy to check for Assessment and Compliance! The amazing support team at Kinderloop are always ready to answer questions and respond to feedback and are constantly adding new simple features to the app and website; just check out their Facebook page for upcoming updates! Most important to early childhood educators is protecting the children entrusted into our care. With each private Kinderloop created, the educator owns the content and invites the family to see updates that both relate to the child and the service. This ensures the upmost security and privacy is upheld and means that images cannot be shared anywhere on social media and invitations are managed by the educator, with written consent by the parent. 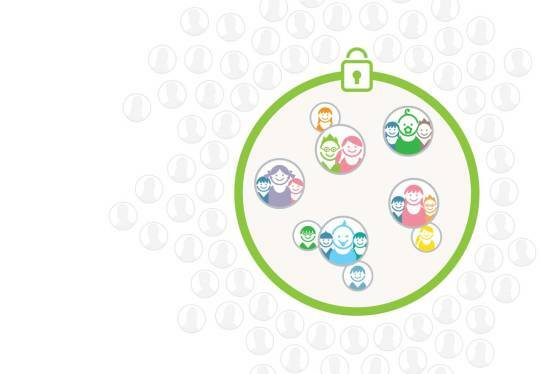 As an early childhood educator and parent this feature is key as it insures that content is protected by educators, that group photos can be shared with confidence and that assessment and evaluations of development may be stored securely and shared with families as appropriate with the required context.